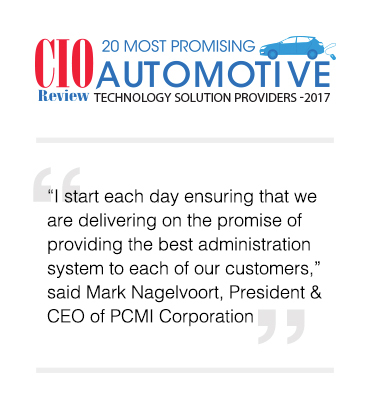 PCMI Corporation has been recognized as one among the elite group of companies that are featured in the Automotive Technology special edition of CIOReview magazine. 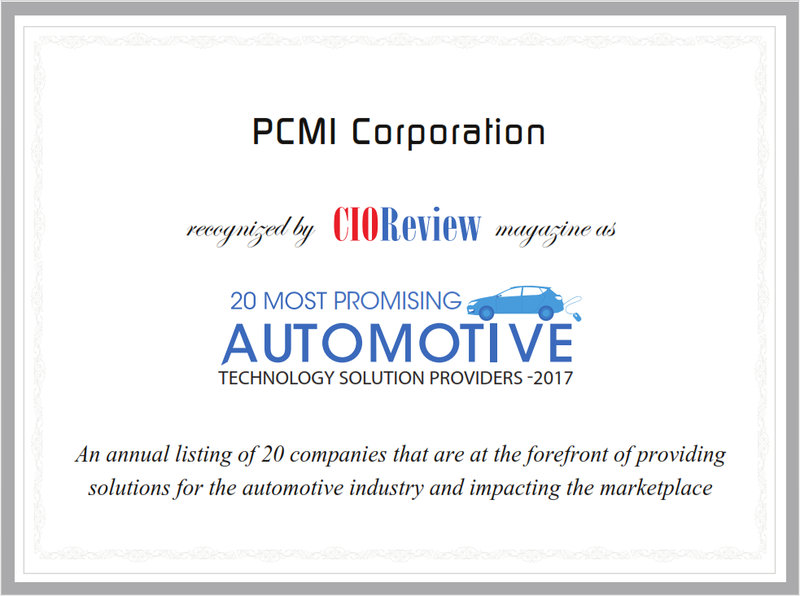 “We are glad to announce PCMI Corporation in our annual ranking list of 20 Most Promising Automotive Technology Solution Providers 2017,” said Jeevan George, Managing Editor of CIOReview. “I start each day ensuring that we are delivering on the promise of providing the best administration system to each of our customers. We have spent years building a team of industry experts, which gives our clients the confidence that we understand their business,” said Mark Nagelvoort, President & CEO of PCMI Corporation. PCMI is featured in a one page article in CIOReview magazine that includes an interview with Nagelvoort.